Even though it's technically not quite summer (June 20th, where are you?! ), we've got devilish heat in Atlanta which means, summer is here, y'all. There are a few things that I rely on when summer hits, and I couldn't survive without them. 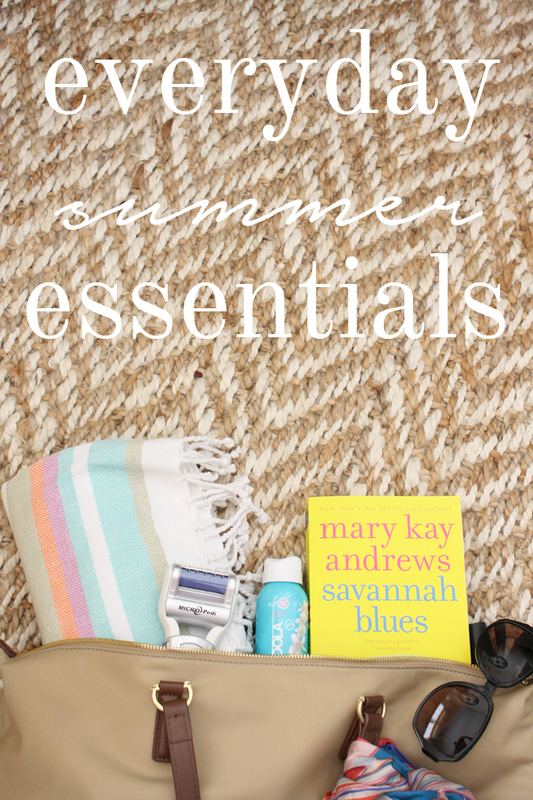 I thought I'd share a few of my summer essentials with you today: things I can't live without during the dog days of summer. Turkish Towel - These incredibly absorbent towels are a definite necessity for summer because of their multiple uses. 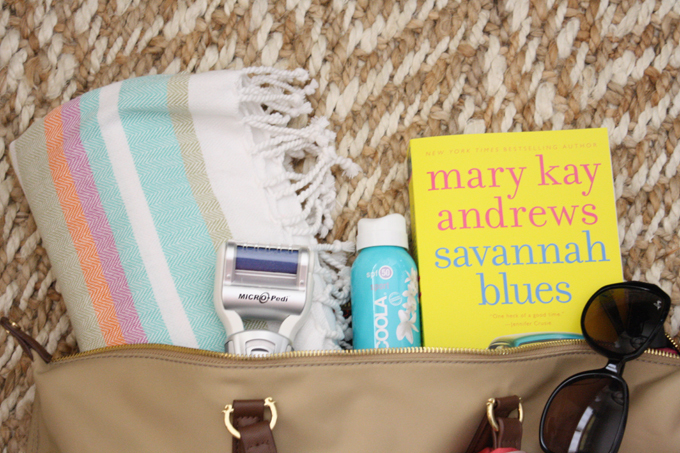 Toss yours in your beach bag for days at the pool and beach, or keep it in your car for impromptu picnics in the park. I picked mine up from Home Goods. Coola Sunscreen - I may have mentioned this one once or twice before, so you know I love it! I keep this little travel version of Coola's SPF 50 spray in my purse at all times, especially on the weekends. You never know what outdoor adventure awaits you in the summer; better to be prepared! A Summer Read - When it's raining, I love curling up with a good book. Okay fine, I love curling up with a good book just about any old time. One of my favorite things to say when I was teaching is that I got to turn my brain off during the summers. While I keep it on now, a book with a summer vibe is exactly what I need. Polarized Sunglasses - I got these Maui Jim's last summer in Seaside, and I wear them almost daily. They fit my face so well, and I have crystal clear vision when I wear them. I always hate when you still have to squint while wearing sunglasses - I never experience that with these; they're that good. I received a micro-pedi from Lipton Publicity. While this post has a sponsored element to it, all thoughts and opinions are my own.